Gentle on eyes. No irritation. More importantly, it lasts the whole day giving depth and character to those beautiful peepers. 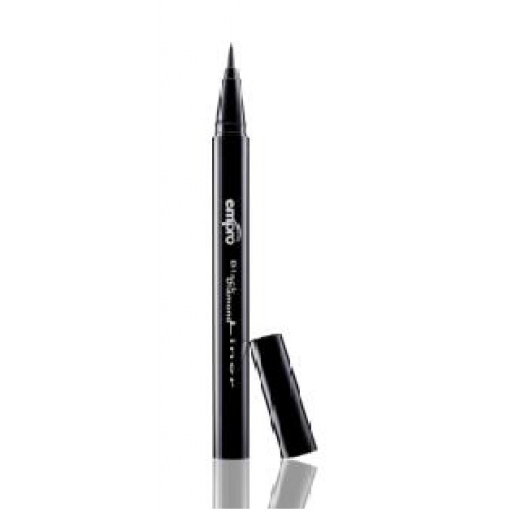 Empro’s Black Diamond Liner is easy to remove and does not require the use of harsh makeup removers. The ergonomic shape makes the liner easy to hold, fits conveniently into tiny purses or makeup pouches. Empro Black Diamond Liner – time to let those eyes shine! Best Eyebrow Pencil, Best Eyeliner, Best Mascara. Shake well before use. Place the tip of the brush on the inner corners of your eyes and work your way outwards. For a better va-va-voom effect, curve the line towards the outer corners of your eyes. Great to find this great eyebrow pencil in Australia. Yes, bought it duty free, and it's the best brow pencil! Soft, and easy to apply, and the chiseled shape is unique. Thanks skinsentials. This eyeliner is great. I previously used a pencil which used to pull on my skin. 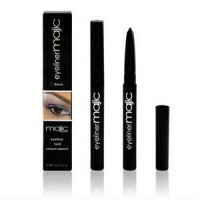 The Empro Eyeliner goes on smoothly and does not smudge. I love it.